Paulina Virgen is not only fashionable but a strong minded woman making life happen in New York with her husband and fab cat Schiaparelli. What a name! Even her cat is working it! 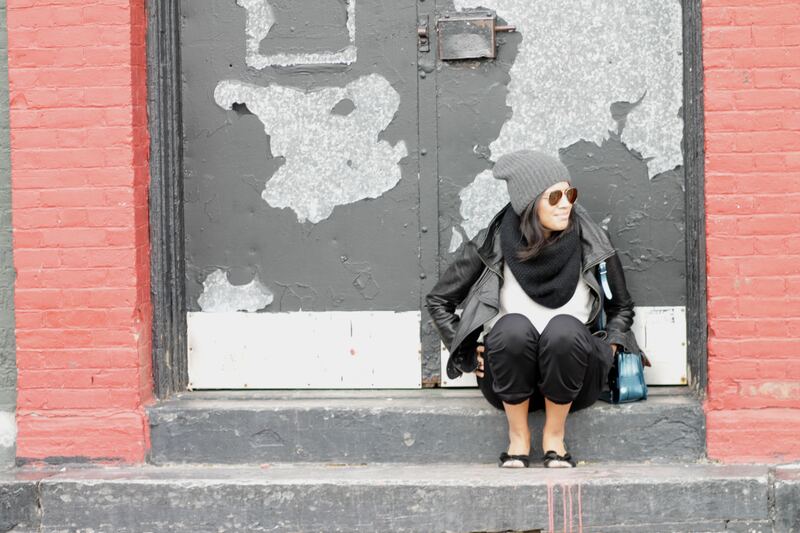 Her blog, North 7th & Bedford speaks volumes for women. What’s your preference? English or Spanish…because each post gives you the language option. SCORE! It’s one thing to give us fashion lovers great content to read and vivrant photos; and another thing to represent exactly who you are while doing it. She does it in Her Own Skin. I’d say we have a winner here. 1. What made you decide to become a fashion/lifestyle blogger? I was working at Ralph Lauren Collection and Spencer, my then boyfriend, now husband, was away the whole summer for work. I wanted to do a little soul searching while he was gone since I really hadn’t lived by myself in a long time. I’ve always been very independent but not having him around gave me all this free time and I was excited to do something creative with it. I was sitting at my desk at work one day when my co-worker ran up to me with a copy of British Vogue and said “Did you see this? !” – Somehow Vogue had gotten their hands on a picture of me during NYFW and included me in a spread with Miroslava Duma and Kate Foley. Next to being photographed by Bill Cunningham, it was probably my proudest fashion moment. I thought ‘You know…maybe I could do this for the summer. Play dress up, take pictures and see what I can do with it’. My posts started as private because I was very self-conscious of sharing my thoughts and pictures publicly but when Spencer got back from his work tour we started taking pictures together and it was fun! It was like our little thing that we did together. He’s an awesome photographer and super encouraging of everything I do so I feel my most comfortable taking pictures with him. 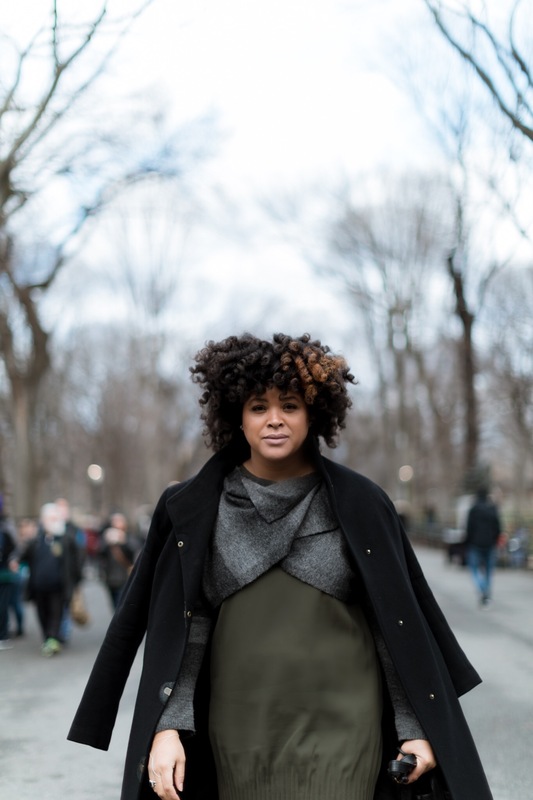 There is always inspiration to be found in the women of New York City – they are SO cool! I may walk by someone and think ‘wow, that’s amazing…I need a pair of shoes like that’. I also like to see the shows when they come out. I often see movies, old & new, and may find something eye catching there. There was a brief point in my life when I wanted to do costume design so I always pay attention to what people wear in movies. 3. What are your top 3 fashion pieces that you think every woman should own? 1) A great bag – Everyone needs a bag they can wear to work, bring to dinner and out to a bar. My personal favorite is the Proenza Schouler PS1. It is easy to bring from day to night. 2) A little black dress – It’s important to have something you can just throw on in your closet for those last minute dinner parties. 3) A comfortable pair of heels – I’ve found that an uncomfortable pair of shoes can really ruin your day so if you want to look good you have to FEEL good. 4. 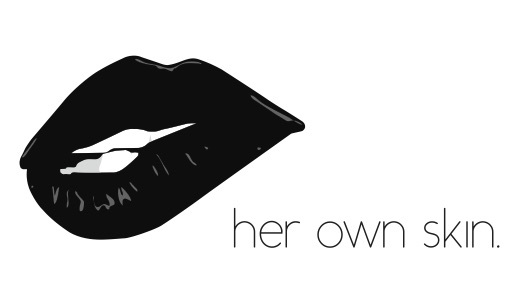 What advice would you give another woman who is thinking about pursuing her passion (fashion, beauty, lifestyle, etc.) and taking it to another level? How would you advise her to stay motivated? I would say you have to remember everyone started somewhere and it wasn’t easy at first. You just have to do what works for you because the path someone else took may not always be your path. 5. How do you find time to get it all done? Working full time and giving your followers what they love!? It’s definitely not easy. I have to give priority to my job (because it pays the bills!) but any chance I get I dedicate to my blog. I’ve learned to manage my time and work on the things that are most important first and take note of what can wait. Everything is important but there are only so many hours in the day. I do believe that as women we sometimes doubt that we can have everything – the career, husband, children, friends – but there’s really no reason you can’t have it all. You just have to learn to prioritize. Well there you have it ladies; straight from Paulina’s mouth. What a great example of a woman making it happen! You can have it all. GET IT! Socialize with Paulina at the links below….. Tell her I sent you!